The DiMarzio PAF Pro was created when chops-intensive playing was reaching high popularity, and high-gain amps and rack systems were the norm. A pickup was needed that combined a lot of presence and "cut" with an open-sounding PAF vibe. The transparency of its sound lets the PAF Pro slice through heavy processing, where darker-sounding pickups get lost in the mud of the effects chain. Low notes have both snap and chunk, and there is a spike in the midrange that gives the pickup a subtle "aw" vowel sound, like a wah-wah pedal stopped in the middle. Treble response is tweaked, so high notes stand out without getting brittle. The PAF Pro makes an outstanding neck pickup in almost any guitar, and it's an exceptional bridge pickup when high output isn't required. The PAF Pro is a dependable choice right across the board -- neck and bridge positions, solidbody, semi-hollow and hollowbody guitars are equally effective uses. This is a great building block pickup, because it's effective in many different situations. Try it in the neck position with a hotter bridge pickup - anything from a Norton to a Super Distortion will create a calibrated two-humbucker match. 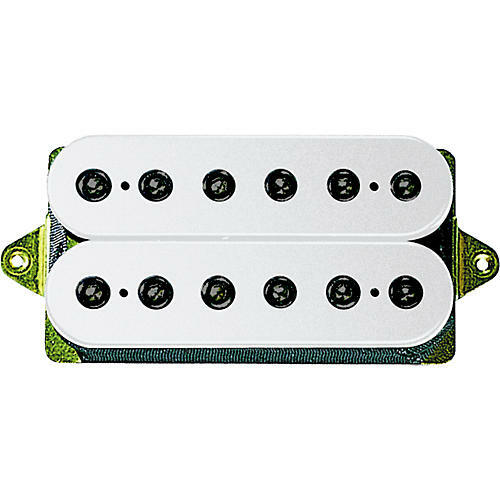 As a bridge pickup, it's really effective with single-coils, because it won't drown them out with too much power, and it's bright enough to blend in tone-wise.